“Rum lover in "Baghdad by the bay". An 8 when compared to the 9 of the eighteen year. Almost identical to the 18 year in taste but less sweet. A smooth rum. High quality, but a little sweet for my taste. A smooth rum. High quality, but a little sweet for my taste. Butterscotch in, cream-soda out. Butterscotch in the nose, cream-soda on the palate when you breath out. 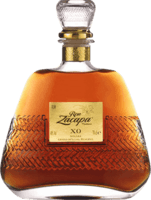 Very sweet, as rums go, but still very smooth. Tasty. It was cleaner than I thought it would be although Its best life would be in a mixed drink. A mixer, but drink it straight once. A good rum to add spice to your cocktails, but nothing I would sip on its own. A decent selection best described as... much much like diplomatico reserva exclusiva, but not quite as sweet. Overall, still a good rummy flavor. Better than Meyers, darker than appleton. 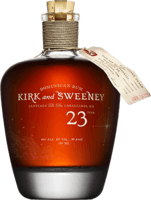 A dark Jamaican rum that is fantastic as a mixer. A great addition to any tiki bar. Pretty good for the price point. Worthy of mixing. This most reminded me of a much less syrupy version of Gosling's Family Reserve Old. A fairly decent light rum. A step above most light rums, this one won't leave you disappointed. A decent light rum. Not exceptional, but a good introduction to a light unaged rum. Pricey but ever so gentle. This rum is very sweet. However it's smoothness is exceptional. Not quite worth the price point but overall a very good rum. Solid go-to Chocolate, molasses, maybe a little walnut. Clean but not exceptionally smooth. 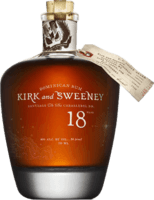 A nose that screams "this is rum" with its dark and sweet qualities. Very good for the price. This is a cheap rum. It does not taste like a cheap rum. Absolutely fantastic bang for your buck. really a 6 or 6.5 but the price elevates the rating. Not bad, but not as good as other offerings. Not bad, but not as good as other offerings. It's a higher price point too, so I'd go with any of the other bottles if you can. A good introduction to the spirit. Sweet, a little harsh, and full of spices. Appletons flavor has come to be synonymous with Jamaican spiced rum. Sweet but it's got a burn. Found a bottle in the office that had been there for a few years, someone had brought back from india. No one would drink it. I can't blame them. meh. Sweet and slightly butterscotchy but the nose is of cleaning product. Can't say I recommend. Can't say I recommend. Sharp, painful, alcoholic. smells like success, which is mostly hard work. 5.5 I use it in a mixer. It's not awful on it's own, in fact it's got some nice spice to it. However, not something I'd drink straight. Perfect for a rum and coke This is not something I'd drink straight. It's too burny. However, this will go well into a rum and coke. Ew. Just ew. https://photos.app.goo.gl/QvAMVnUmWwaAnMWt1 Ew. Was on bar with a bacardi gold. Do not recommend. Not as awful as other bacardi's Not as awful as other bacardi's. This one is almost drinkable in a pinch. Use only for mixing. It does what it advertises. This rum is for being overproof. Use it for fire fuel or to strengthen unnecessary drinks. Generic bottom barrel rum. Generic bottom barrel rum. Tastes of gasoline. Very bad rum. eeeeeeh Like many a bacardi bottle, you can pass this one up. Don't. Just... don't. Don't. Just... don't. Airs of toilet cleaner with a hint of gasoline.